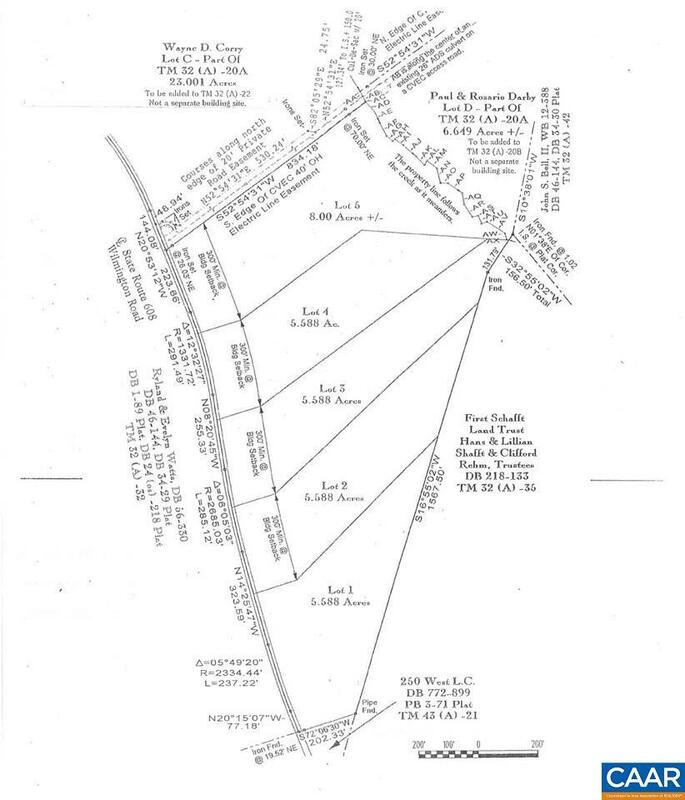 Fantastic, newly-divided, 5-lot subdivision in Fluvanna County, just 14 miles from shopping and dining. Great opportunity to build your dream home, lots have no restrictions and have been approved for conventional septic systems. Fluvanna County tax records or GIS system has not been updated and do not reflect this new subdivision.